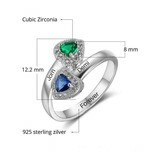 Wear your lover with this beautiful 925 sterling silver ring. 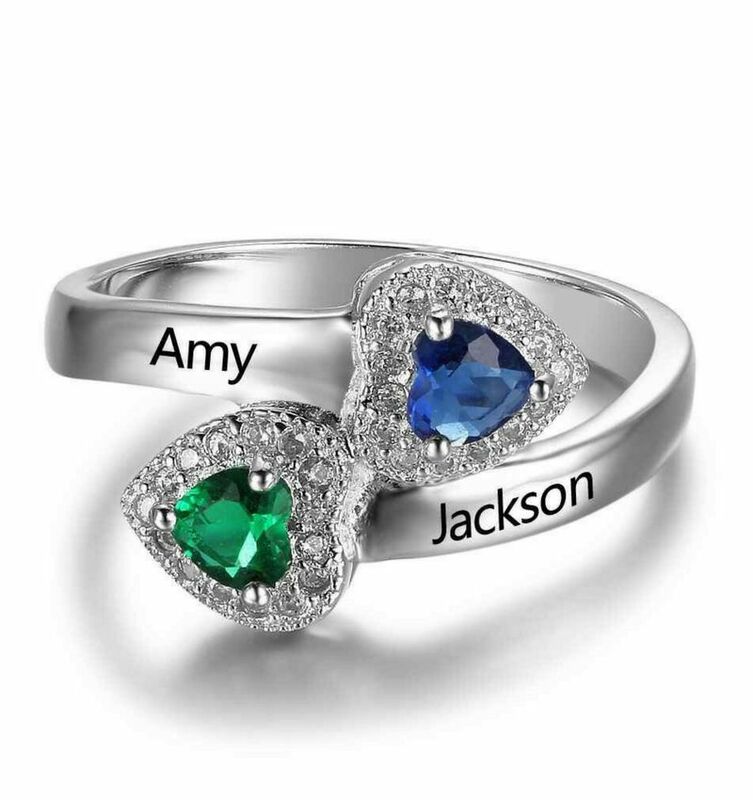 The ring has room for two birthstones + names and an inside engraving of up to 20 characters. 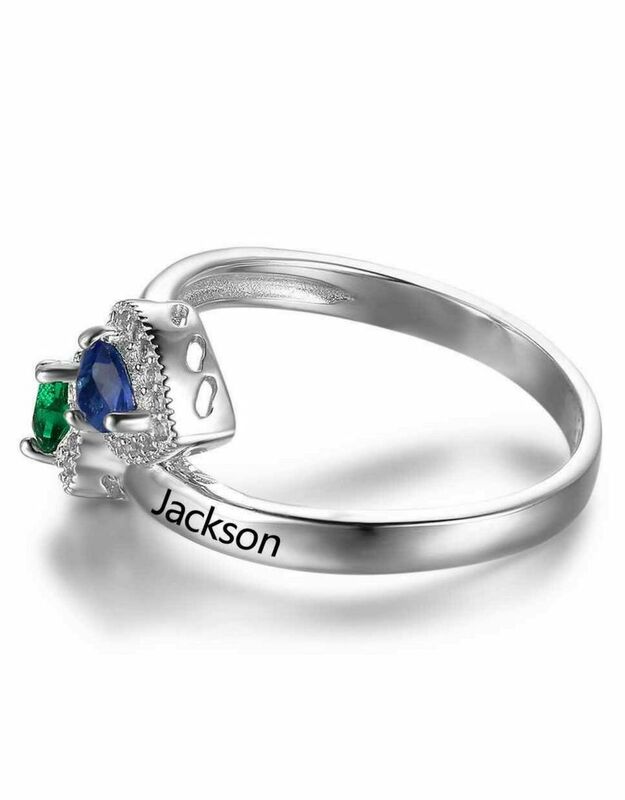 A striking ring, finishing every outfit! 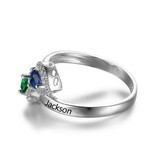 ♥ Choose the stone that matches the birth month or go for a color that you like. ♥ Place for 2 names up to 9 characters per name.